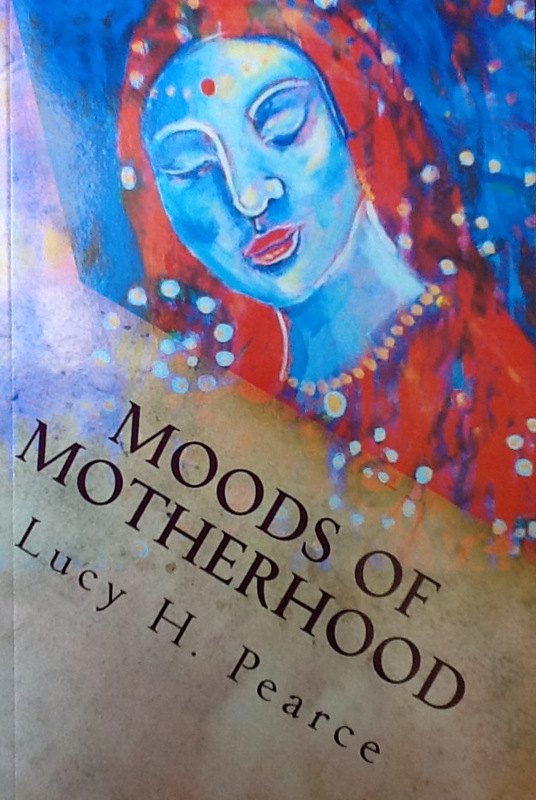 I am excited to share with you the publication of my second book, Moods of Motherhood. A compilation of my best-loved posts on motherhood from my popular blog, Dreaming Aloud, my columns from JUNO magazine and many new pieces, never before published. This is a book full of my trademark searing honesty and raw emotions. It will make you laugh and cry – wherever on your mothering journey you may be. Topics include: tenderness, pregnancy and birth, happy days, anger and fierceness, playfulness, love, patience, homemaking and much, much more… it is illustrated throughout with beautiful black and white photographs. It would make a great gift for friends and sisters; great introduction for those who have yet to discover my writing.And a bound treasury of my work for long-time readers to hold in their hands. Signed copies are available from me here at The Happy Womb, and from Amazon.com and Amazon.co.uk. Please do leave me a review on Amazon! My grandmother always said: “You are your baby’s weather.” How true that is! There is nothing more remarkable about the act of mothering than the changing moods. The weather of motherhood can seemingly alter from moment to moment, day to day, a rollercoaster of emotions stronger than one has ever experienced before. The stakes, after all, are far higher than anything we have ever played for before: the very life, health and happiness of a creature that is our own flesh and blood. On reading back over my blog, I noticed how contrasting posts follow one day after the other – all so real, yet so intangible. Like the weather we are only left with vague memories and snapshots of how hot or cold it was, no real yardstick of the tempests and sunshine of our mothering years. Other mothers were drawn to these posts, these outpourings of emotion, frustration, joy and despondency. It seems we are all yearning for a reflection of our own tumultuous experiences, a validation of the endless emotional turmoil and physical exhaustion which motherhood reeks in our lives. We seem to lack a language to share both the mundane repetitiveness of our daily mothering lives, as well as a forum for sharing the deeper emotional parts. For perhaps the first time in history, the mothers of the twentieth and twenty first centuries mothered alone, in separate houses, often far from family support. The job of parenting is not meant to be handled by one adult, it takes a tribe. Few of us entered the role prepared, though we might have been expecting (some) sleepless nights and smelly nappies, the all-consuming nature of motherhood lay hidden, until we were well and truly embarked on our maiden voyage. The sweetness of a first baby’s smile did not reveal the cacophony of demands which another child – or three – would bring. Most knew how they wanted to be, and what they most certainly would not do. And then after the first glow of motherhood had worn off, the disappointments begin stacking up: the ideals which had fallen by the wayside, the perfection not achieved, due to lack of energy, experience, insight or something else. And at that point we can despair and see ourselves as failing. But the mothering journey, does not, cannot stop that day, even though we feel we cannot continue. And it is in overcoming these moments that we find ourselves as the mothers we truly are. In this moment we let the perfect mother die, and embrace our quirky, impatient, silly, messy, deeply loving mother selves. This book is far from a parenting manual written by an objective expert. Rather it is the life of a mother – warts and all. It is compiled from posts written for my blog, Dreaming Aloud, published articles and previously unpublished work. So here, for you, is a journey through the emotional terrain of a mother, from humour to heartbreak, though the story is mine, it could be yours. When I was the mother of one, I thought I was an expert. Which is why I became a writer on parenting issues! As the mother of three, I have been humbled to my core. I have realised just how much I don’t know or can’t do – and just how little I am “in control”. And yet ironically with that knowledge and acceptance, comes a little more wisdom, and a lot more experience. I see new friends starting out on the road to motherhood with mixed feelings. Immense joy at the ecstasy of love they are about to experience, great protectiveness, wishing to shield them from the scars it will make on their souls, the pain, the heart ache, the worry, the exhaustion, the touching of anger which they had been able to keep hidden all these years. But this is the journey. The one that makes us the mothers that we will be. The mothers that our children will live with every day, yet barely know. Becoming a mother brings with it such a vast raft of complications for the psyche, before you add the momentous task of caring for a small and ever-changing child to the mix. Becoming a mother reawakens our own feelings, good and bad, about our own mothers. It changes our relationship with our partner forever: suddenly we are not just lovers but parents. And it shifts us instantaneously into the next generation, causing potentially seismic shifts in friendships where one set are not parents and we now are. Not to mention the adjustment between us and our families of origin. And that is before we even consider the massive shift in roles for most modern women from full time work or study out in the world, to suddenly being at home, if only for the first weeks, with a small being who needs you all the time. Ideas of women’s roles in society suddenly become less abstract or idealised, and the whole dilemma of who cares for the child, who works, who pays the bills and how suddenly become pressing realities with few ideal answers. Very often I find it hard to be really mentally present with my children – though I aspire to be. I find the demands of motherhood too intense, their needs too much. And so I do what I know, what I love: I write. In writing I capture the mood, the moment in a more effective way than my whirling thoughts and fuzzy memory could ever hope to. And so I find that even in my moments of despair, distraction and elation I was present. And in these vignettes of mothering life, and the images which accompany them, I have captured the whole process of motherhood which was at times almost unbearable in the actual living of it. And so I have it here in all its preciousness to savour, and give thanks for, from the safe distance of time and the security of the written word. Yet, as I read back, I realise with great poignancy that these babies who I am capturing have grown, without me noticing, despite my almost daily writing about them. They are bigger and stronger, little rugged human beings out in the world. Little humans that I co-created, that I carried in my belly and fed from my breast. I feel like I need to pinch myself, it doesn’t seem real, or even possible. And yet it is. And that is the miracle of motherhood. The most important thing about this motherhood lark is that we know that we are not alone. That we are not the only ones feeling these feelings and living these experiences. Surround yourself with like-minded allies to laugh and cry with, to confide in and gratefully accept support from. I look forward to sharing my journey with you and hope that it might give you insight and support in your own. *(Discount valid to midnight (GMT), this Sunday, 4th November, use valid to one product per customer). 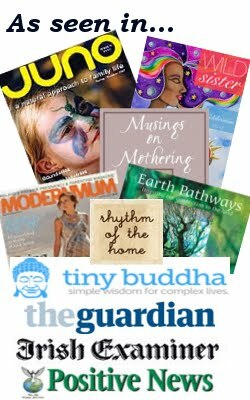 This entry was posted in Books, Mamahood and tagged author, book, Dreaming Aloud, emotional, emotional weather, honesty, JUNO, Juno magazine, layer cake, Lucy H Pearce, Moods of Motherhood, motherhood, mothering, tribe of mothers, writer on November 1, 2012 by Lucy H. Pearce.